Chicago Teachers Union held a protest Wednesday morning in support of 38 Head Start assistants who lost their jobs. 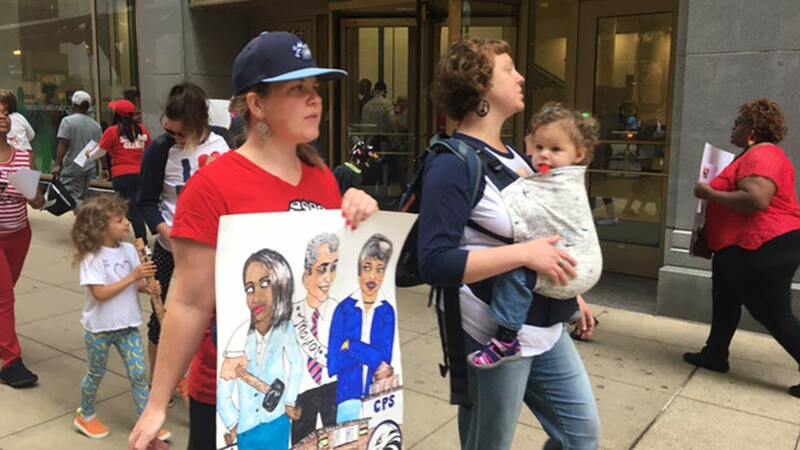 CHICAGO (WLS) -- Chicago Teachers Union held a protest Wednesday morning in support of 38 Head Start assistants who lost their jobs. They rally took place outside the Chicago Board of Education meeting. The union says Mayor Rahm Emanuel laid off the assistants without warning or reason and they'll be replaced with 13 new staff members. The union adds the fired workers are almost all women of color. CTU also protested Mayor Rahm Emanuel's plans to borrow money and instead to focus on raising revenue for schools. "The mayor cannot continue to cut and borrow his way out of this crisis and simply shift the costs to the shoulders of the very children whose education the district is shortchanging," said CTU Vice President Jesse Sharkey. ABC7 has been unable to reach Mayor Rahm Emanuel's office for a comment.